Mostly clear. Low around 35F. Winds NNW at 10 to 20 mph. 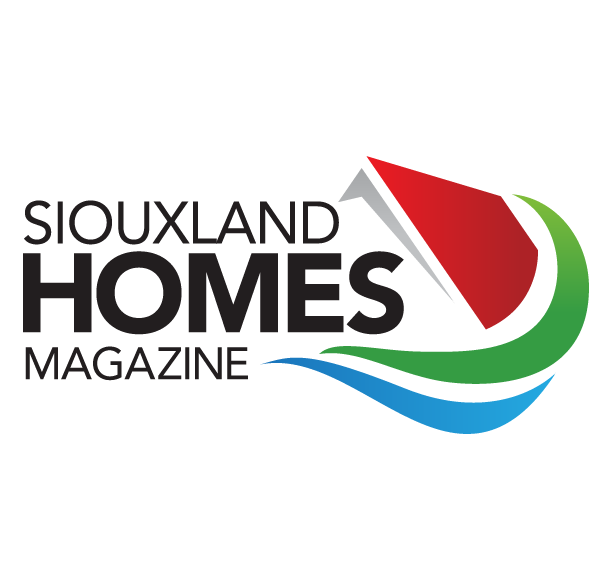 The Siouxland Homes Magazine is a weekly real estate magazine published by the Sioux City Journal and the Great Sioux City Board of Realtors. The Siouxland Homes Magazine is a weekly Siouxland real estate publication available in print and online. This magazine contains hundreds of Sioux City and surrounding area home listings. The magazine includes an open house directory and a new listing directory. The print version is included in the Sioux City Journal Saturday edition as well as being placed in racks throughout Siouxland, where is it available at no charge. The online version is always available and updated daily. This publication also includes helpful articles on home improvements, landscaping, refinancing, as well as tips on preparing to purchase or sell a home. Commercial real estate listings are included in this publication and online. Nestled in the trees, this hide-away acreage features paved driveway to a beautiful setting. The house is brick and vinyl siding, with new shingles in 2014 and new siding 2015. Upon entering the foyer (5x11) you will be welcomed by volume ceilings and open dining room/living room combination. Both ceilings are vaulted. The kitchen updates include new granite counters, new backsplash, 2 skylights, pull out drawers, gas cooktop with electric oven, all appliances stay. Great room is just off the kitchen with vaulted ceilings, 2 skylights gas fireplace. 3 season porch off the great room, done by Screenbuilders 12x20. Main floor laundry and half bath. Four bedrooms located down the hall with 2 full baths, one bedroom has built in desk area. Master bedroom has whirlpool tub with shower combo. Lower level is finished also with game room, rec room with 2nd kitchen, an office with built in desk area, 3/4 bath (7 x 7) and second laundry. Two car attached garage in 25 x 26. 40 x 40 Outbuilding built in 2004, with concrete floor, heater and 2 18' doors. Another outbuilding 14x36 could be used for a horse. Relax in the kidney shaped pool area with white vinyl fencing added in 2004. You must walk the ground to appreciate all the beautiful trees and plantings. Very secluded property. Plymouth county taxes. Mid American for gas and electric. Newer heat pump. Radon mitigation system installed and new septic will be installed July 2017. Brick ranch walkout on golf course lot with walkout basement. Sitting on # 6 fairway, this home has had only two owners. Brand new shingles 6-2017. Garage is 3 CAR Tandem. New flooring living room and hallway. Cherry cabinets in kitchen with all appliances. Vaulted ceiling in the front bedroom. Master bedroom has whirlpool and separate walk in shower. Lower level has large family room area with walkout door. New bar area installed recently with wet bar and counter area for seating. Potential for another bedroom and 3/4 bath. Large workshop area. Hot tub hookup. Radon mitigation system installed. New water heater 2016. Golf cart garage in lower level. Hard to find a brick ranch, golf course lot and walkout. Here's a fun floor plan well suited to entertaining space for all. Upon entering the front door is a newly tiled entry foyer and vaulted living room, very light and airy. Off the newly installed barn door is the den/office, all new flooring and paint. Go down a few steps and you will find more space for all: Family room with gas fireplace with sliders to the patio and fenced back yard, also this level has the formal dining with beamed ceiling and engineered flooring. A WOW kitchen with great preparation area, double ovens, island, plenty of room for eating, new tile floor 14/15, granite island. Main floor laundry and great storage off the garage area. half bath also. The upper level has two generous bedrooms with great closet spaces and jack/jill bath, with new sink, tub surround and lighting. Lowest level has rec room with dry bar. The back yard is level and fenced. Two car garage. Looking for a private back yard? 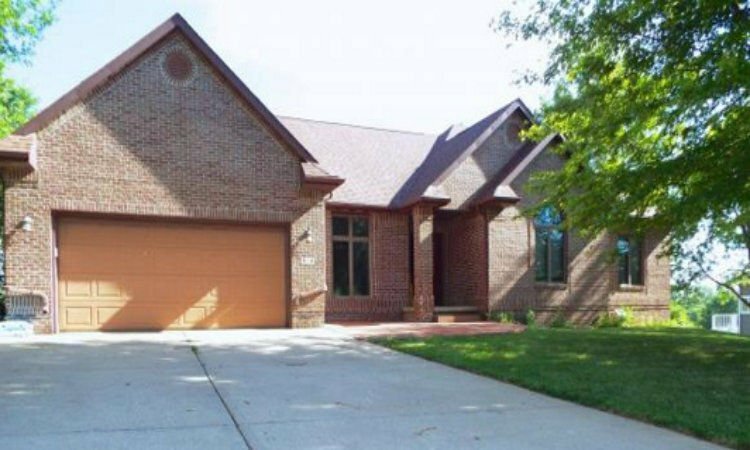 View this all brick and stone walkout ranch home sitting on #6 green of SCCC golf course. .42 acre lot with nice trees and a less traveled street. First interior impression is the new cherry kitchen done in 2013 with granite counters and the kitchen wall was opened to the dining room. Entry foyer is wood floors and then there is a wide spiral staircase to the lower level. Open formal living room and dining room with built in buffet. Off the dining room is 3 season room and then composite deck overlooking the back yard. 3 bedrooms on the main and 2 bath. Main floor laundry and two stairways to the lower level; which has two doors to the back yard. Two family room areas, fireplace down, 3/4 bath down and nice storage rooms. Updates include: shingles 2011, most windows main floor replaced 2011. New electric panel 2013. Radon mitigation system. Arts/Crafts home on corner lot; beautifully fully restored/remodeled historic home. (2010) This home has the original flooring, beamed ceilings, and woodwork on the main floor. The living room has beamed ceiling, gas fireplace and wood floors. Formal dining has beamed ceiling, wood floors. Several recent updates in 2010: New heating and CA, electrical plumbing updated.The kitchen has cherry cabinets, corian counters, newer appliances. with a separate eating area of 9 x 9. Half bath on main.Baths were updated at that time also, all new toilets this year. Upstairs are 3 bedrooms, with oversized master, updated bath and walkup attic area. There is a den on the second level with built in bookcases and access to upper deck. Lower level was finished with rec room, 4th bedroom, 3/4 bath and laundry area. Munchkin boiler with 2 zones plus FAG and 2 AC units. The corner lot has partially fenced yard, large custom cedar deck for entertaining (2015) koi pond, a 2 car garage with window A/C, dog run. Vinyl siding on house and garage. Curb cuts and new concrete for driveway in 2015. Ranch style townhouse in the Willows on #1 fairway/green in Dakota Dunes. 2 bed, 2 bath, 2 car garage. Association fee covers snow removal, yard/landscaping, sprinkler and garbage. Master suite with spa tub, separate shower, large walk in closet and sliders to rear patio. Open living/dining room with fireplace and wet bar. Kitchen has new flooring and ample cabinetry/counter space, plus a 11x10 dinette area with bay window and door to patio. Laundry room with base cabinets/counter and upper cabinets. Several roomy cabinets and space in garage for storage. Come enjoy Dakota Dunes! Well maintained 4 bedroom split level with great outdoor spaces including 11x25 raised patio deck for lazy summer afternoons under a shady tree. Spacious bedrooms and plenty of area for family gatherings. His and hers crafts area and indoor shop. Beautiful built-in cabinetry. 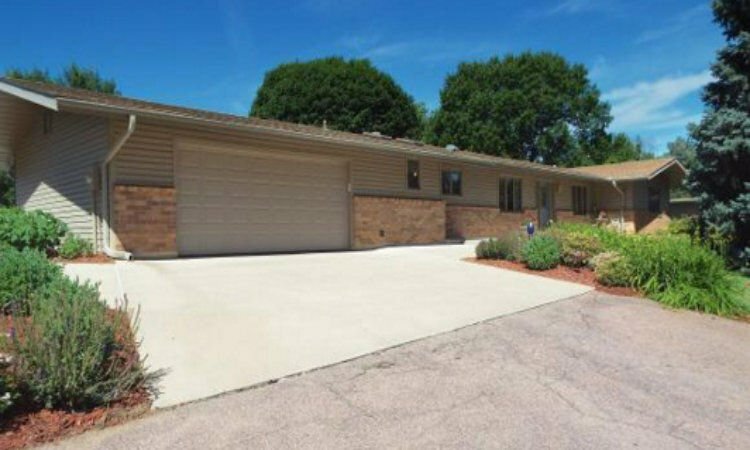 Wow, this Home features the Garage of your dreams!Garage has 3 stalls with heat ans AC. This home has been updated to the hills! New flooring, paint, cabinets, counter-tops, appliances, fixtures, windows and an awesome walk out from kitchen to a huge deck! This home has 2 bedrooms possible 3rd downstairs and 1.5 baths. 4 bed, 2 bath, 2 story with large yard in great Morningside location. Spruce this one up and you'll have a great home with bonus square footage that could be finished in the basement. Many newer windows, attached one car garage with access from basement. Roll up your sleeves and build quick equity. Home is priced to sell in existing condition, well below assessed value. Cash or strong conventional buyer. Solid and well maintained, this home has much to offer! The kitchen was opened up a few years ago to flow into the living area, creating an inviting gathering place for family and friends. Three generously sized bedrooms on the main and a full bath. Did you want closet space? This home has it abundantly. Finished family room downstairs, plus two other rooms with partial finish. One could be 4th bedroom with installation of egress window. Large laundry/utility with 3/4 bath. Concrete patio in back overlooking spacious back yard. One car garage with second parking pad. Shingles new in 2008, vinyl siding, great location! Perfect starter home! 2 bedroom, 1 bath, main floor laundry, new flooring, paint, newer windows, newer roof. Huge garage was previously used for auto body shop. It's important that a Realtor® market real estate listings the smart way. Advertise your property listings in the marketing piece that is welcomed into the homes of more potential home buyers and sellers than any other... Siouxland Homes. Contact us to get more information. A fabulous 5 bedroom, 5 bathroom home with gorgeous views of Adams Nature Preserve in the backyard. The main floor has an open floor plan, with master & laundry; the home also features: built-ins, 3 fireplaces, & an eat-in kitchen. The lower level is a walk-out to an amazing yard with a great patio space; and also has a work out room with built-in sauna, as well as a living area with wet bar. The home also has a heated 4 car garage. A custom-built Whispering Creek home has 5 bedrooms - including master suite with soaking tub, 3 bathrooms & is located on a cul-de-sac! The main floor has an open concept living area with a gorgeous eat-in kitchen. The walk-out basement area has a wet-bar & leads out to the covered deck, in-ground pool & firepit area! Custom built by Rick Wegher on a cul-de-sac with 1.77 acre lot, 3 bedrooms, & 3 bathrooms. Placed on the lot to face south, this ranch home has many custom features. The kitchen includes cherry kitchen with granite tops, gas cooktop, large pantry, skylight, & access to the 3 season room & large deck. The kitchen opens to main floor family room with gas fireplace. The master bedroom features french doors, walk-in double closet, & a bath with shower & whirlpool tub. Main floor laundry with sink. Lower level is finished with complete kitchen area, rec room with fireplace, den, & cedar closet. Private back yard, with underground fence. Close in acreage, custom-built one owner home, custom built. 2 story home with 4 bedrooms, 3 bathrooms, formal areas of living room & dining room. Main floor has the family roon with gas fireplace, heated sun room with patio door to deck, & the laundry room. Upstairs are 4 bedrooms; master bedroom has walk-in cedar closet. Lower level has a family area with woodburning stove, office, & den. 24 x 36 barn with poured concrete floor, garden area and chicken coop included. Survey is being completed - there will be new legal description and new tax amount. Experience the Pride of Ownership with this new construction, located in the Kingston Addition in Sgt. Bluff. A spacious foyer awaits as you enter, leading to an open floor plan featuring kitchen, living room, & dining room. The home features 3 beds & 2 baths, including a master bedroom with en suite bathroom & walk-in closet. The master bath has a walk-in shower, separate tub, enclosed toilet space, & double sinks. Large 3 stall garage with ample storage & entrance to the laundry/mudroom. Currently there is still time to choose paint, flooring, & select upgrades (at buyer’s expense). Buyer eligible to apply for 10 year tax abatement. Troy Griese Construction includes a one year home builders’ warranty with the property. Custom built walk-out ranch home on the pond! This lovely Wynstone property has an open floor plan on the main, with a living area that has a gas fireplace & an eat-in kitchen with deck access. There are 2 bedrooms & 2 bathrooms, featuring the main suite with has walkin closet, full bath with jet tub & walk-in shower, heated tile floor, double vanity & glass block window over the tub. Very well taken care of 3 bed, 3 bath ranch home on quiet street. Entry foyer with wood floor & closet welcomes you in. Right off the foyer is the formal dining room - perfect for hosting. Then relax in the large living room with gas log fireplace. The eat-in kitchen has an island, pantry, & desk area. A large deck off of the eat in area overlooks a well landscaped backyard. Coming in from the garage is the laundry room with washer, dryer, freezer, & half bathroom. This split bedroom plan has a large master bedroom with bay window, walk-in closet, and a bathroom that contains a tall double vanity, whirlpool tub, & separate shower. Beautiful Ranch home built by Fletch Construction, with 5 BR, 3 BA, & an open concept. The master suite has a large bedroom, walk in closet, & bath with double vanities. The spacious kitchen has been recently remodeled with granite, tile backsplash, & stainless steel appliances. The great room & kitchen feature 10 ft. ceilings & a pantry. The main floor laundry exits to the 3 stall garage with plenty of room for tools, yard machinery, & sporting goods. Directly off the dining room is an oversized deck & huge backyard with a mature apple tree, shed, & playhouse or reading nook. The basement features 9 ft ceilings with large family room, huge game room/Man Cave, wet bar, & plenty of storage.